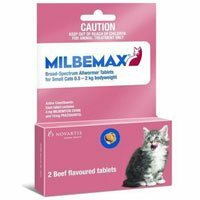 I usually treat my two cats with milbemax before travelling anywhere out of the town. I am quite pinicky that my cats may get worms. This has always helped me to protect both of them from any worm infection after travelling. A complete dewormer as it gives no chance for worm infection. My kitty usually suffer from worms but using this product now I don't have to rush to vet office for treating worms.